Mutual funds provide an opportunity to investors to earn through the power of long-term compounding. Association of Mutual Funds in India (AMFI) data shows that the mutual fund industry has added about 9.74 lakh Systematic Investment Plan (SIP) accounts each month on an average this financial year, with an average SIP size of about Rs 3,200. There are over 2.5 crore SIP accounts through which investors regularly invest in Indian mutual fund schemes. The rule that applies to shopping i.e. "the cheaper the better" does not apply to mutual funds. Many new investors often make this mistake; they compare different mutual funds based on their NAV (Net Asset Value). This approach is fundamentally incorrect. The investors need to understand that mutual funds are bought in units and NAV is the price of each unit. Higher or lower NAV is irrelevant in determining a fund's performance. Mutual fund's performance is dependent on its portfolio of securities and fund manager's decision making. For example two separate funds having NAV of Rs 100 and Rs 1,000 that hold the exact same securities will deliver the exact same performance. Also read: Which mutual funds are the top performers in last 1, 3 and 5 years? Wealth creation requires investing in the right set of securities and patiently going through the ups and downs of the markets over long tenures. Don't make hasty investment decisions which are not aligned to your investment plan. Think over your financial goals in detail. This would help to choose the best investment vehicle to achieve it. Invest through SIP which would help to average out the market volatility. Don't change your investment pattern based on the present market movement. Investors that have market knowledge should opt for direct mutual funds rather than the regular variant. Long-term investors, who opt for direct mutual fund over regular mutual fund, are likely to save up to 20 per cent if they stay invested for 20 years or more. On an average, there is a difference of 1 per cent in the expense ratio of direct and indirect mutual fund plans. This 1 per cent would accumulate to be a significant amount over long term. For example, if you invest Rs 10 lakh in a regular mutual fund plan for 20 years, then it will compound (grow) to Rs 96,46,293 assuming the fund delivers a CAGR (compounded annual growth rate) of 12 percent. While the same principle amount of Rs 10 lakh if invested in the exact same mutual fund, but in a direct plan, could grow to Rs 1,15,23,087 at a CAGR of 13 percent. That is a difference of Rs 18,76,794 or 19.45 per cent between the two variants of the same mutual fund. Investors should be aware of the taxation guidelines applicable on mutual funds. Knowing and understanding taxation is important as it reduces the overall return that an investor makes from his investment. Taxation on mutual fund depends on the type of fund and the investment horizon. Investment horizon can be divided into two categories: short-term (less than a year) and long-term (more than a year). If an investor sells his holdings in an equity mutual fund before a year then a flat rate of 15 per cent STCG (short term capital gain) is applicable. In case the investor sells his mutual fund units after a year then LTCG (long term capital gain) tax is applicable. As per LTCG tax, gains of over Rs 1 lakh in a financial year are taxed at 10 per cent. Whereas in case of debt mutual funds sold before completion of a year of holding, returns are added to your total income and regular income tax as per your applicable tax slab gets applied. 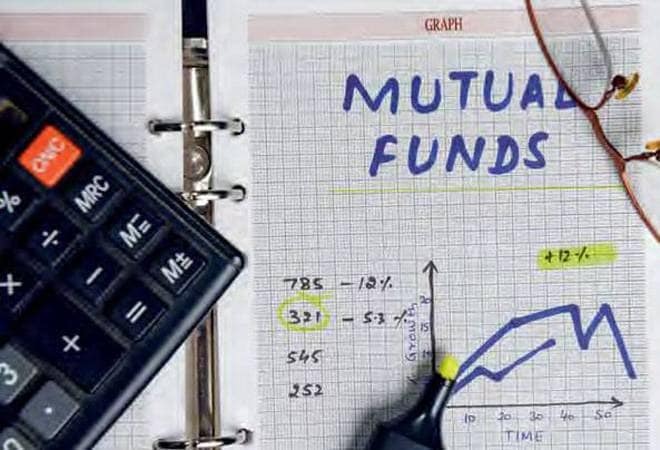 If the debt mutual fund is sold after three years then returns are treated as long-term capital gains and are taxed at a rate of 20 per cent with indexation benefit. Indexation helps you to inflate your buying cost as per inflation index and reduces your tax liability. Rather than following the disciplined investment approach of SIP, some investors try to time the market. Market timing means that the investor tries to invest during the dips in the stock markets. Here the investor thinks that he would invest at only those moments when the stock market has fallen thus buying the same MF units at a decreased price. But in reality this seldom holds true, as no one can predict the market movement. The price at which an investor makes the buying decision may not be the cheapest price. The markets may even fall further. In the long-run, SIP is the best way to invest as it averages out this market volatility. Novice investors often make this mistake. They tend to be so attracted towards the financial markets that they invest all their savings at one go. Thus, creating a void in their ability to meet emergency money requirements. During this period of no savings, if the investor loses his primary source of income or there is an emergency hospitalisation of a dependant, immediate redemption of funds would take 1-3 business days to be realised into hard cash. Exit load may also apply. Thus it is ideal to keep at least six months of living expenses in bank account as an emergency fund. Many investors have learnt to invest regularly in the market, but only a few of them regularly track their investment performance. Timely reviewing the performance of your fund would keep you aligned with your investment goals. Weed out the funds that are not giving good returns as compared to their peers. But critical point is that investors should give ample time to their mutual fund to grow. Ideally, a time frame upwards of a year should be given to a fund to earn decent returns.